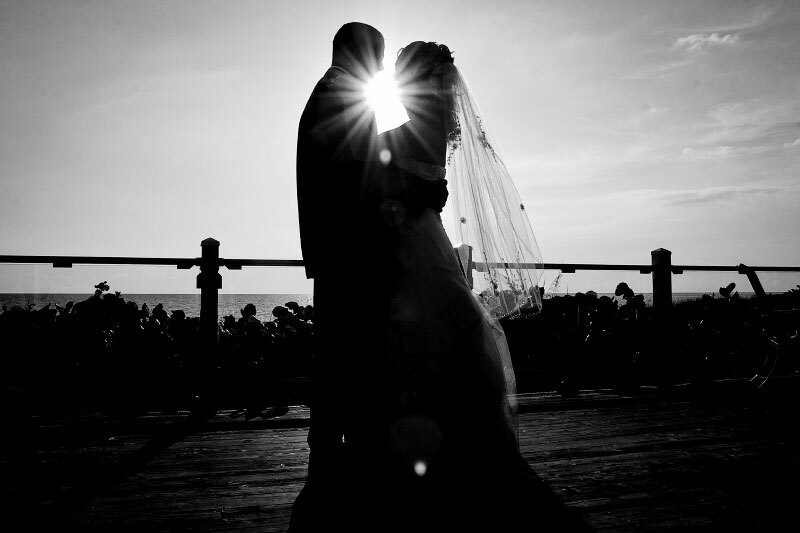 FAQ: Wedding photography by Armando Solares, Englewood, Venice, Sarasota, Florida. Award winning wedding photography. Q. What is wedding photojournalism? A. Think LIFE magazine and the wonderful photo essays. Think National Geographic and the way life is captured in subtle, colorful, well-composed moments. It is a way to tell stories with pictures. It captures your wedding as it happens without interruptions or direction. It is life as it happens. Q.What is the standard length of time for photography coverage? A. Ideally we would like to document your wedding day. We start when you begin to get ready for your wedding. We end after the ceremony. The reality is that there are intimate weddings and lavish weddings. Thus we have plans to fit every need. Please contact us for further information. Q. How do you approach formal portraits? A. We make a limited number of formal portraits upon request. These include photographs of the bride and groom, the wedding party and immediate family. We don't want to take time away from your guests on this special occasion. Q. What is team coverage? A. Should you wish to cover your wedding day from the bride's and groom's perspectives, we highly recommend the team approach. This means that 2 photojournalists will photograph your wedding. Moments will not be missed. Q. What do we receive after the wedding? You will receive a DVD with edited images. Also, included in all service levels is a private online gallery for you to share with your family and friends. Albums, books, and other products depend on the ordered service level. Q. How far in advance do you recommend we book your services? A. We recommend booking your date 6 to 12 months prior to the wedding day. However, do not hesitate to contact us about an event that is just around the corner. We may have availability. Q. How do we reserve the date? A. Please contact us and we will send you the information. A. Of course. Please call us or contact us via e-mail to schedule an appointment. Q. What cameras and lenses do you use? A. Professional Canon Digital cameras and lenses. A. In lovely southwest Florida. We are 20 minutes from Sarasota, 1 hour from Tampa and 2 hours from Miami/Fort Lauderdale. We are also only a flight or a short drive away from anywhere.